By Melissa Lennig on December 6, 2017 Leave a Comment. This content contains affiliate links. As an Amazon Associate I earn from qualifying purchases. Cold winter afternoons are perfect for crafting with children. 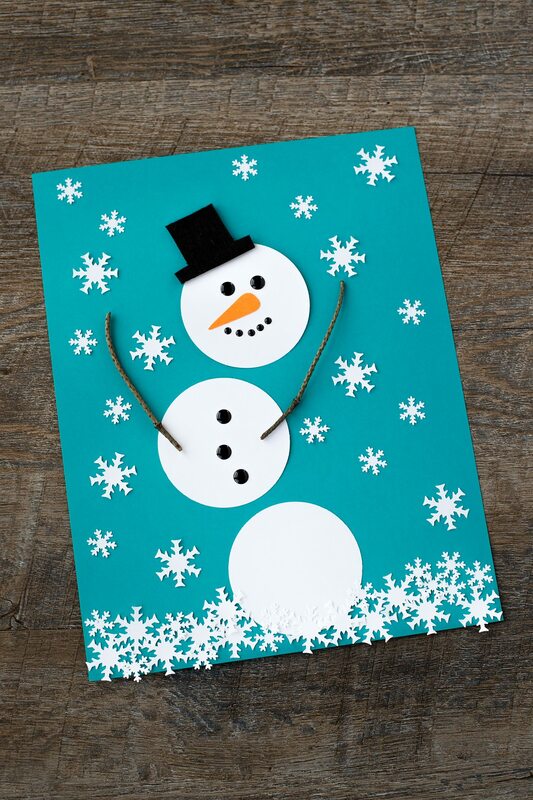 Kids of all ages will enjoy using our printable snowman pattern, twigs, felt, and a snowflake paper punch to create a simple and fun paper snowman craft. 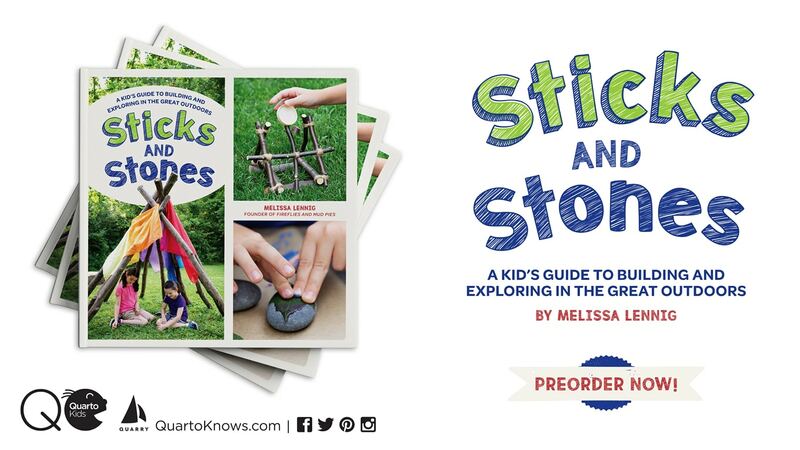 It’s perfect for school or home! 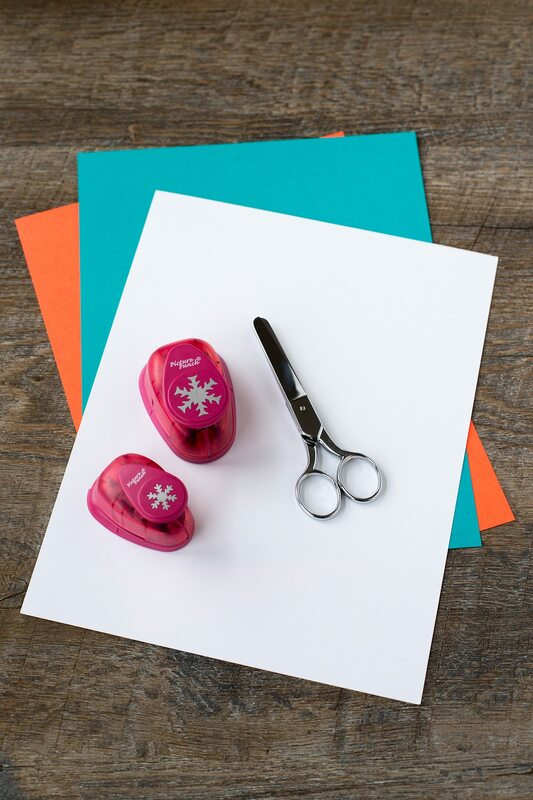 If your kids are anything like mine, they are crazy about paper punches and adore projects that use them. I have to admit, I love them too. (Especially the snowflake punches we used in this project.) There is something so satisfying about punching out perfectly symmetrical, crisp designs. Our new paper snowman craft project looks adorable on the refrigerator. My children had a fun time making it as they watched afternoon cartoons. 1. 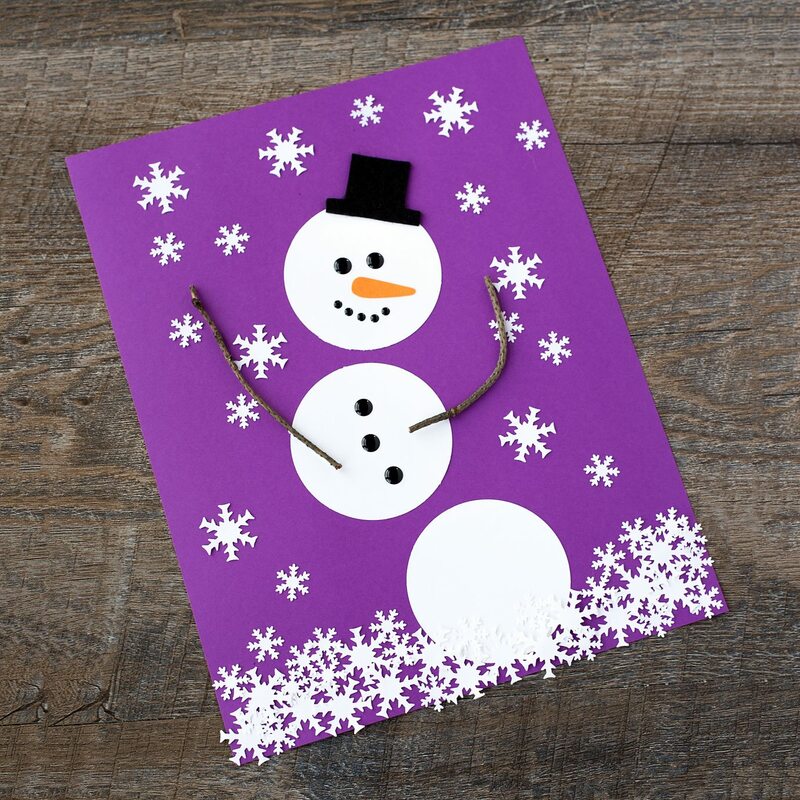 Print and cut out several copies of the paper snowman art template. 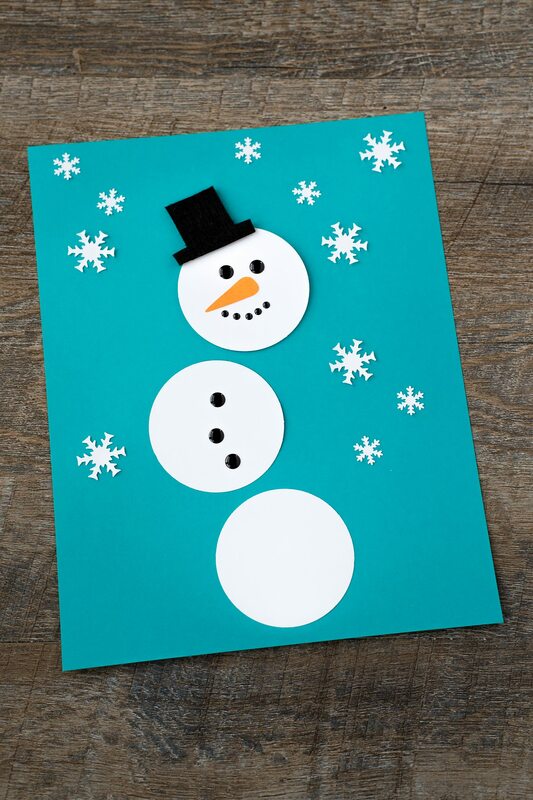 Print the templates on sturdy card stock so kids can trace the shapes onto construction paper. Alternatively, give each child a blank template of their own to use. 2. Trace, cut, and glue all shapes to a colored piece of construction paper. 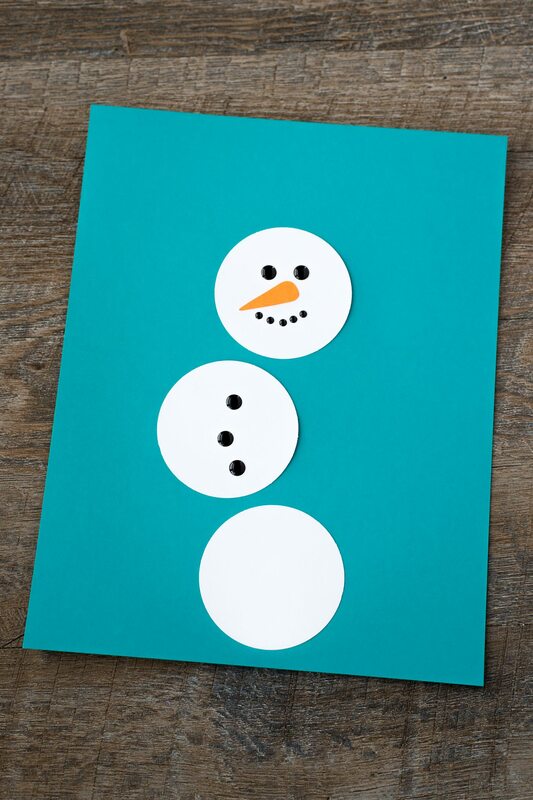 Invite kids to leave a small space between each circle to give their snowman the illusion of bouncing movement! 3. 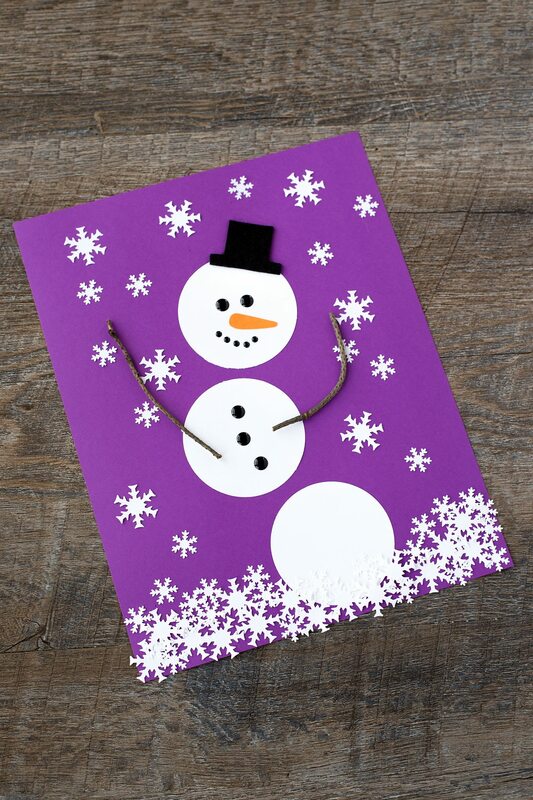 Invite children to decorate their snowman. Use black circles, buttons, or a marker to create eyes, a mouth, and buttons. If desired, make a hat and scarf for the snowman with felt. 4. 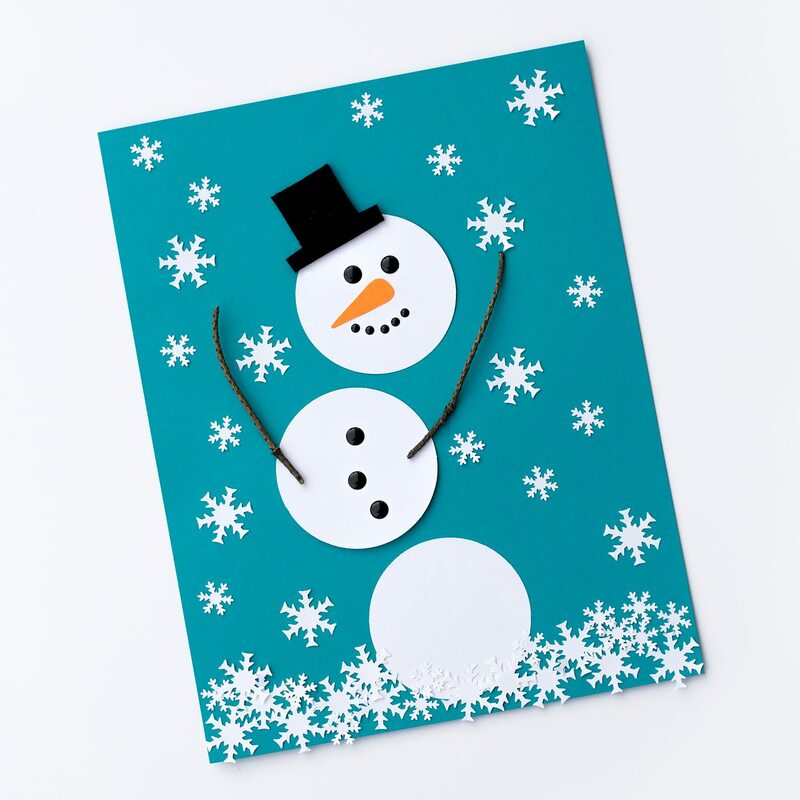 Use the snowflake paper punches to create a flurry of falling snow around the snowman. 5. Glue the snowflakes to the paper, piling them up towards the bottom just like real snowfall. 6. 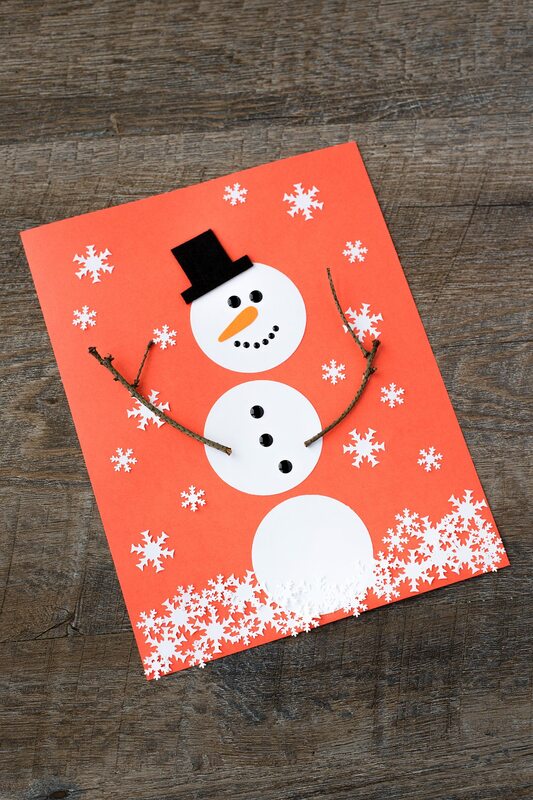 Use the tacky craft glue to secure 2 twigs to the snowman. When I collect small twigs for craft projects, I often look for them towards the bottom of pine trees where the twigs are thin and dry. 7. Allow the glue to dry completely before displaying the artwork. Aren’t they cute? 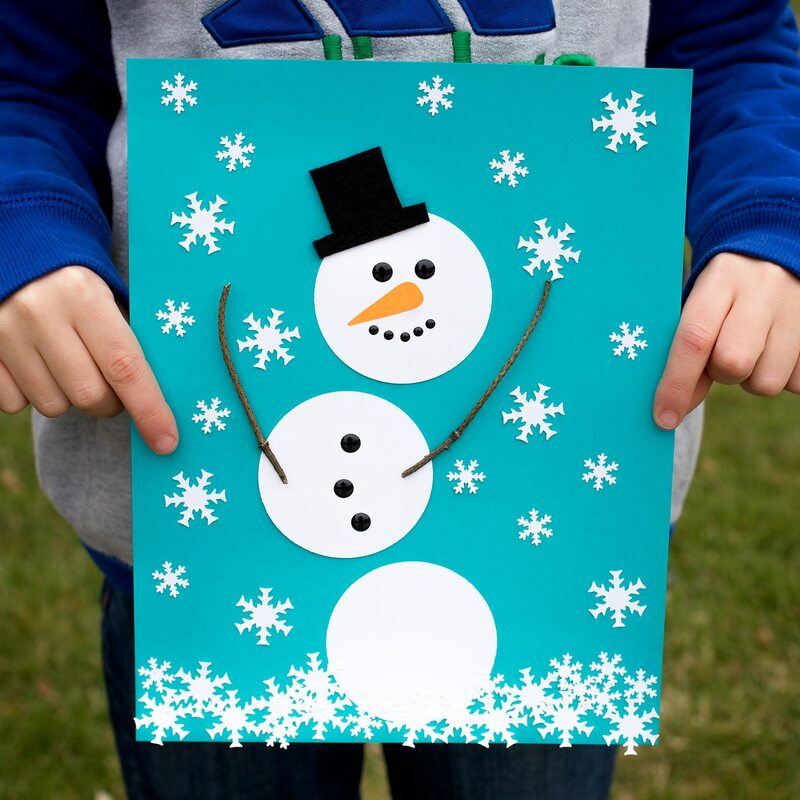 Such a fun winter art project for little ones!